The Grumpy Elf: Ideas for Planning My Hunters Garrisons + The Perfect Build for Everyone. Ideas for Planning My Hunters Garrisons + The Perfect Build for Everyone. Please join me while I explore what I intend to do with my garrison, at least on a few of my hunters. I will go over my main hunter of course as well as hunters with two crafting professions and hunters with two gathering professions. Horde and alliance side and on servers with other characters and solo. Each garrison will of course have a different impact on the character based on the supporting staff they have on that server. And make sure to check the last one, what I believe to be the perfect raiders build for a hunter, even if that character is the only character you have. Theses are the buildings one of my hunters (main with support) will be moving into warlords with. This, of course, will not be the final incarnation of my hunters garrison, this is just my starting one. I intend to change some buildings over time. As this is my main hunter I will likely bounce some buildings for achievements here because this is the hunter I will likely spend the most time on. For the record the professions this hunter has are herbalism and alchemy. I will explain my entire process of thinking with all these buildings and my intentions on when I will be changing them, perhaps so you can read into the method of my madness and get some ideas of your own. Base Buildings: Town Hall, Garden, Mine, Fishing Shack, and Pet Menagerie. Small Buildings: Alchemy Lab, Enchanters Study, and Salvage Yard. 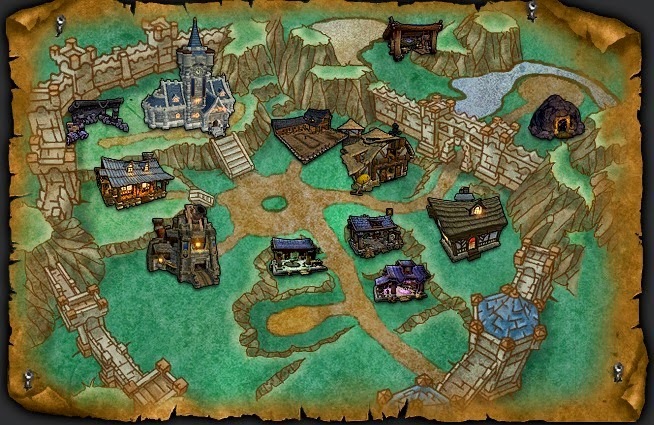 Medium Buildings: Trading Post and Lunarfall Inn. Large Buildings: Barracks and Stables. The salvage yard will help me gear up my followers so I can do better missions. It seems almost like a no brainer to have something in your garrison from the start that can help your followers because your followers will end up helping you in return. The alchemy lab makes sense because I am an alchemist of course. It will allow me to make additional items that are required for the larger flasks and those flasks, even more so in the first tier of raiding, will be a pretty large boost to what we are capable of doing. The third small building was a bit of a decision for me to make because as it seems if you do not have the profession to go along with a small building the professions small buildings are pretty much useless. If you could trade the special crafting materials I would most definitely have taken a tannery, but being you can't, and the storehouse feels like a complete waste of space, the next best thing is the enchanters study. Lets not forget that the enchanters study is, without a doubt, the best hunter fill in building. Why is that you might ask? Because the only things you can not make with the enchanters study that an actual enchanter can make are weapon enchants and guess what, hunters do not need weapon enchants. So we can effectively get all of our enchanting done 100% with the enchanters study. For a hunter, the enchanters study is like a complete and full profession without having the profession. No other class can claim that of any profession building, cool, huh? Add to the fact I solo a lot on my hunters and you can disenchant items in the enchanters study. So it would be a good idea to have one to get extra materials. Even more so when you think that a main, or a character you play often, will end up with a lot of gear won from coins that you do not need, so having a way to disenchant that gear you can not send to your enchanter seems like a solid idea to me. Well, that, and there are really no other decent small buildings. The trading post is a must have, and so is getting that auction house going ASAP. It will save me a lot of time running back to the city to put stuff up for auction and from previous experiences of expansions past there is a lot of money to be made from really impatient people that will willing pay 800 gold for something today that will be listing for 20 gold in a few weeks time. Also the trading post will help me make sure I can keep up with the flow of garrison resources I will need being I expect to level quickly meaning I will probably run out of garrison supplies pretty fast. The second medium building, the Inn, is one of those buildings I know is a part time building the second I build it. I am adding it for one reason and one reason only. To get everything I can out of it and get rid of it. I will keep the building long enough to get any achievements tied to it, do all the dungeon quests to get all the goodies tied to them, and recruit a bunch of followers for the weeks that I do have it. Once I have everything, and enough followers recruited to ensure I can get the 40 follower achievement and once I finish the other things, I will ditch the Inn and move along to another medium building. The reason I decided on the Inn first of all the medium buildings I plan to rotate my way through was two fold. One being that my first character will most likely be doing more dungeons than any other because it will need the gear. So doing the dungeon quests on it makes more sense being it will be doing dungeons to begin with. The second is that I want to get a full group of followers ASAP and get them leveled and geared as fast as I can. While I could have used one of the other building as my first medium that I will rotate through, this one just made the most sense to be the first one to do because it has no lasting effects once you have gotten everything from it that it offers. Depending on how things are looking, I will either end up with the barn for the savage blood creation so I can either sell it or craft some gear for my non raiding alts being savage blood is not bound or the gladiator's sanctum for some skull bashing fun. Even if I am not into PvP generally, this option does seem to really appeal to me for some reason and will most likely be the building I end up with when all is said and done in a medium spot. You start with the barracks anyway and it is not a bad building at all, so might as well keep it. It will give me more missions for my followers and that will help them level faster. Then once it is level 2 I can start working on my bodyguards and leveling them up. As a hunter I am considering using a healer as my bodyguard I level first because it could offer me some heals while still at that low geared just hit 100 phase and that might be needed. But also because the healer follower, once level 3, will have the portable mission table, which at the beginning will be the most useful additional ability any of the bodyguards can offer me. While I am out achievement hunting, treasure hunting, fishing to get nat pagle as a follower, I will be able to call the mission table with my healer and send followers out on new missions instead of having to return to the garrison to do so and if you are looking to level them as quick as possible starting a new mission as soon as the old one ended is the best way to do that. After that one is leveled, and most of my followers are leveled and it is not so pressing to start new missions ASAP I will level the bodyguard with the summon ability because lets face it, having the ability to summon a friend to you is pretty darn awesome, wouldn't you say? For the second building I decided on the stables because capturing and training wild beasts is what I do. I am a hunter after all. At first I did not consider the stables a good option but as I did more research it seems to be the best option for a character that is a main or is played a lot and more so one that you will be on a lot before flying is added to the game, if it ever is. The 20% mounted bonus of course is a huge plus but that does not come until you have a level 3 stables. First you have to hunt down and capture and tame a bunch of mounts and who better to do that than a hunter, more so a hunter that is a main character which means they will be better geared, thus better suited for the task at hand. Once flying is added I will ditch this building, as I am sure I will be done with all the quests, achievements and such associated with it, and pick up the gnomish gearworks doing all those achievements and then finishing it off with the mage tower most likely. Even with flying, getting around fast is not a bad idea to have just sitting there waiting for you. As a skinner / herbalist on a server with no support system being a solo character there this character will be left in the wind not really being able to craft much of anything for itself. Being my main hunter and a few other alts will be taking care of all the achievements, this hunters set up will most likely be what he ends up with. Small Buildings: The Tannery, Enchanters Study, and Salvage Yard. Medium Buildings: Trading Post and Barn. Large Buildings: Barracks and Dwarven Bunker. Once again the enchanters study for the above mentioned reasons. Even more so being this character has no support system on the server so making their own enchants can save a bit of gold. The tannery works because one of the gathering professions is skinning. While I will only be able to make 640 pieces because I do not have leather working I can sell additional 640 pieces and save that gold to purchase the upgrade items, if need be. The trading post is for the same reasons mentioned above. The barn is because I will need some way to generate a fair bit of cash flow so I can buy upgrades to the gear I craft should I need it, or just gold in general is always good if I don't, and savage blood will be the golden goose for the beginning of the game so we might as well squeeze as much gold out of it as we can. The barracks for the same reasons as mentioned above. The dwarven bunker because I can get more follower upgrade pieces and for any character that might not be entering raids right away having followers well geared up is a great way to help gear your character, slowly sure, but still a plus. This is an engineering and leather working hunter that has some support. Small Buildings: The Tannery, Engineering Works, and Salvage Yard. This will end up being my default set up for alts. It has both the salvage yard and dwarven bunker to help gear them up and the barracks to allow for more followers to be active. The main difference for the double crafting hunter is that he will have both buildings that match his crafting profession and the salvage yard as his third small building. If the hunter happens to be on a server without an enchanter to support it with enchants than I could remove the salvage yard and add the enchanters study and not lose too much being I still have the dwarven bunker to get some follower gear. If you are a raider and a hunter and you are looking for the perfect set up this is what I would suggest. This set up would work if you are with a support staff on the server or on a server all by yourself. This build is designed for the hunter that will be downing raid bosses the second the raids are released and clearing content rather quickly, at least at normal mode and even better if you do heroic and mythic. This means it is missing any way to make the crafted gear as you would have no need for it being normal and higher all drop better gear than anything you could make. You would need to have jewelcrafting and engineering as your professions to take complete advantage for the perfect set up. Small Buildings: Gem Boutique, Engineering Works, and Enchanters Study. Large Buildings: Stables or Barracks and Dwarven Bunker. Being you will be downing raid bosses crafting your own gear is of little use. Even at the best level crafted gear is only 665, which is below even normal mode raiding, so there is no need to even care about crafting your own gear. The same goes for followers. You will, or should, not be counting on them to help gear your character so having buildings specifically meant to help your followers gear up are not really required but you will still be able to do so with the dwarven bunker around, if you wish. I would say it is worth it anyway, even if not required. The small buildings would match your professions which should be jewel crafting and engineering to make this work. The third building is the enchanting study. The reasoning for these two professions and the third building should be pretty clear. These three small buildings will make your character completely self sufficient. You will be able to make your own scopes, your own gems and your own enchants. Being the only enchants you can not make with the study are weapon ones and we do not need them, that means we can get everything covered with this make up. It is also why it works so well for even a solo hunter on a server all by themselves. Because they do not ever need to seek out anything to buy, they will be able to make everything themselves. The reason for the stables is because a speed increase is nice, but you really could replace it with something else if you wish, the barracks is the next solid option, almost tied and maybe better. Stables or barracks will come down more to the individual, neither is a bad choice. The reason for the barn is to make some gold. People will need savage blood, they will need it in large amounts, might as well take some advantage of it and with your trading post, and by process auction house, you can list it as soon as you get it. 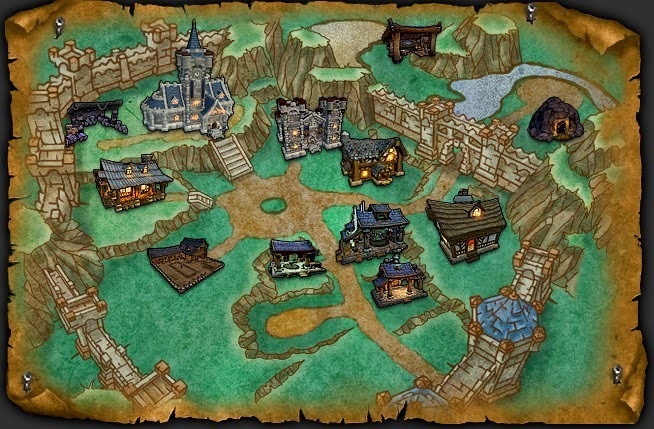 With the dwarven bunker giving you one coin a week, the trading post easily making the garrison resources for another one each week, and the savage blood surely being capable of buying you the third coin each week after they sell, you effectively get all three extra rolls for free each week. Nice work hunter, and all done without any need to be on for more than raid night alone. I have 2 of my 3 solo hunters that are all alone on their servers which will be switching professions to this set up, and being you only need to be level 1 of a profession to do everything I mentioned, anyone can change if they want to. Remember, all you need to do is raid normal to make this a good set up where you can keep yourself perfectly gemmed, enchanted, and ready to rock and roll without any support what so ever. Some might say, this building really can turn warcraft into a single player game. This build works for you as well. You would need to have jewel crafting and enchanting as your professions to cover everything you need. Your two small buildings would be the gem boutique and enchanters study to go along with your professions of course. Your third small building could be a choice for you. Salvage yard would be what I suggest but making a storehouse, if you wish, or even an alchemy lab, might not be too horrible of an idea. While you will not be able to make the big flasks you can make the small flasks needed to make big ones and then pay an alchemist to complete it for you. Either way, this is the perfect solo play raider build for non hunters. I have 10 chars. Yesterday, I drafted the first plan, spending quite some time balancing things, and it worked out to 320k gold total. I have about 300k, can totally make another 20k, and I am not afraid of spending money, but this was too much to spend on something that might not turn out well. So, I thought for some more time, decided to go from expected ROI, changed the initial plan dramatically, and came to 160k. Then I thought some more, made various optimizations and reduced that further to 110k with an opportunity to invest more into areas that will be able to recoup the investments in reasonable time. This final plan is what I am going with. 110k is fine in that with 10 chars I should be able to more or less cover that from questing. * I am taking trading post vs lumber mill everywhere as a garrison resource generator (only taking lumber mill on one char for achievements). Harvesting lumber takes longer than using the post, and the post is more universal. * For each char with crafting profession(s) I am taking a building for each such profession. I am only leveling that building to level 2, if you have the profession, level 3 only adds the ability to queue more orders, and I am not interested in that. * I am keeping garrisons on most chars level 2 instead of level 3 until I have definite data from live on two test ideas that require garrison level 3. If both ideas fail to deliver (my margin is 2000g per day from the build on top of the usual stuff, if I repeat it on all 10 chars, because the builds take time to operate and I can make at least as much in the same time by farming), these garrisons stay level 2 forever. If the ideas turn out to be successful, I will, of course, share. In terms of leveling, I am getting everyone to 92 first, then "main" (I have several "mains", which I switch every season, that's the specs I PVP on, but someone has to hold the flag) to 100, then everyone to 96, then everyone to 100. I am also going to sell the first mats obtained from mines / trading posts - I am fine delaying crafting for 2-3 days for a fair price. I know only on my main will I max the pet battle and the fishing buildings, so that saves money on alts. There are ways to cut it down some, but it will still be somewhat costly for most players, more than they can afford. It is something that could very well keep them busy all expansion trying to build it up. - Smart move not getting the level 3, that saves you 1500 per building. - Keeping other stuff at level 2 could hurt, like the barn needs to be level 3 to get savage blood. - I too plan to sell everything those first weeks while the prices are high, and if I need it later, I will buy it back. Great way to make money is to get the early dollar from people that want to cream "first". Let them yell first while you sit back and count their gold. By the way, GE, if you have a second account and want to level some chars, there's a not-yet-fixed exp hole which works somewhat well for 1-80: Ruby Sanctum. You take a level 90 and a low-level from the other account, the level 90 enters Ruby Sanctum, the low level can apparently enter it as well after that, then the level 90 clears all trash (but not the boss) and the low-level gets sizeable experience. Then you both go out, reset, and repeat. This is not as fast as Zan'vess was, but much faster then leveling. The exp that you get on the low-level scales with its level up until 80. I would only need to get to 60 so I can pay to boost, or if I activated my other account, use the free boost. Thanks for letting me know that one. I'll give it a try tonight. Another fantastic post Grumpy. Again, you went above and beyond to help us with these Garrison posts. I will follow your builds on a few toons on a couple different servers that I plan on utilizing the garrisons with. However, is it really worth having the lumber mill at all? Or is it easy now to acquire resources to where we don't need it. This would be for toons with support. The lumber mill could have lots of use at the start, but once everything is built the need for resources are minimal so you will start to accumulate them. I plan to make the LM for achievement purposes but outside of that, I don't think it will be required. I read somewhere that they changed the results from work orders to 20 from 100 for the trading post and lumber mill. Being beta is down I can not check that. However, if that is true than the LM has an increased value, but still not a huge one. If you are active you will be getting resources from quests, rares, treasures, and events out in the world, which will be enough to keep you going I believe. Glad you like these and they have been of some help. My plans are a little different, but everyone's will be because they have a different set of toons. I have 5 90s on my main server (plus 5 more bank/ah alts that may get lvled some day), so I need to sort of cover 1 missing profession (BS) and try to funnel crafted gear to my hunter. Plus I'd like to branch out into making some gold from crafting. In the past, I've made most of my gold from xmog. 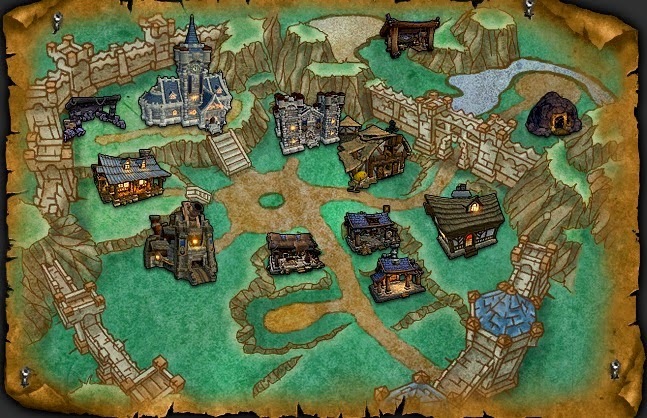 So I put Barracks, Barn, and Salvage yard on all toons. Matched crafting professions on each toon. Put a Forge on one since I don't have a BS and put the Storehouse on another just to have everything covered. Then spread the remaining Large and Medium buildings around. The second Large and Medium buildings on each may get flopped around. Those are the buildings that I'm the most unsure about. Grumpy really pushes the Trading Post, but I don't really see the value in it. There's a mailbox in the Garrison, so I can just mail things for my other toons to post on the AH. That's what I've been doing for ages. My main hardly ever goes to the AH, one of my alts goes for him because they're already there. I plan to do a similar strategy as PVPanon for lvling. Also, I'll use what mats I need for my hunter, but I'll probably sell or craft and sell the rest. No need to invest them into alts early on. I'm sure I'll profit quite a bit regardless (not that I need the gold). I like the trading post because you can trade garrison resources for anything else. At a certain point you will be getting them and having nothing to use them on. Having the ability to trade them for whatever you need, or whatever is selling well on the auction house is huge in my opinion. I can see saving it for later and starting with something else, but I can not see any building with such potential and then having the auction house and a constant way to generate garrison resources is just a bonus. I am going to sell early, and then gear alts later. I figure even if I sell all my savage blood week one for 5K I can buy them back in week 3 for 2K and still have made a profit of 3K each. So to me selling early is vital. Not to mention you will need 30 bloods to max out an upgrade anyway. So in that time you can always sell them as you get them and buy them later. Because having 4 won't do anything for you, but selling those 4 now and buying them back later when they are cheaper is clearly a win / win situation. I took another look at the Large and Medium plots because they were still bugging me. Barracks really seems like the best for my first building. The problem comes with the second building. I've scrapped the Mage tower idea that I had before for my main. It's a toss up between the Bunker and the Stables now. I'm leaning slightly more towards the Stables since I don't know that I'll work on the mounts on an alt. This is the really complicated one. Barn seems to be a must have for the Savage bloods. Also reviewed small buildings. I think I'm going to go with an extra Enchanter's building on my main and put the missing Forge on my DK. So I'll have 2 Enchanter buildings instead of 2 Tanneries. For longterm gold making, that should work out better. So much work, I know. I have changed my mind a few times already myself. It is so much to take in. One good thing is that we can always change them around if we wanted to. All it will cost is a few gold. So I am glad for that. Nothing is set in stone. If we change our mind we can waste a little time and gold but nothing more. I have a feeling I am going to end up changing a lot of things over time. I just wanted to thank you for all the garrison posts and especially this one. I was quite lost with all the garrison stuff, but your guides are a big help. I am glad you liked them. Have fun with them in the next expansion, hope these can help some.